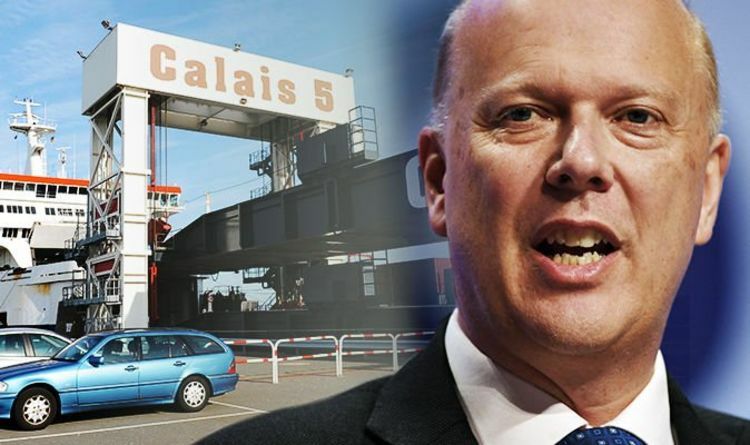 Mr Grayling is planning to divert goods to the Belgian port of Ostend in a move that has outraged Calais. Mr Puissesseau had insisted before hand that a “traffic light” system would work and keep traffic between Dover and Calais running smoothly. The system consists of green for lorries with the right paperwork, orange for those who are not sure and red for those with no paperwork. He then said Mr Grayling was so hated in Calais he would have to be pushed through the traffic light system himself to be able to get into France. The Calais chairman attacked Mr Grayling weeks ago, calling him “disrespectful” on the BBC Today Show before reassuring listeners a no-deal Brexit would not cause any mayhem between the ports. Mr Grayling was heavily criticised for awarding a no-deal Brexit ferry contract worth an eye-watering £13.8million to Seaborne Freight, a firm that has no ships or trading history.